Ours is an eminent manufacturer, supplier and exporter, we are engaged in offering Kids Towels. 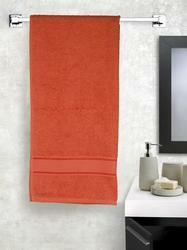 Keeping in mind the need of a kid, these towels are manufactured utilizing optimum-grade fabrics, yarns and threads. Post-production, these towels are packed in high-grade packing material to avoid damage during dispatch. We use 100% cotton yarns, thus the products have hand feel & easy washability. 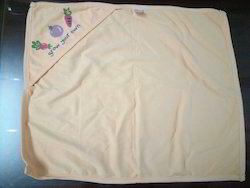 Our entire ranges of “BABY WRAP TOWELS are appreciated for its hand feel. We offer our range in different sizes & weight to meet the client’s product requirements as well as meet the clients target price. Our firm specializes in offering a qualitative assortment of Baby Towels. Design with soft yarns keeping in mind the sensitive skin of your baby. This baby towel is accessible in various amazing patterns and prints as per the requirements of our customers. The offered baby towel does not harm the skin of baby. Price Range:- Rs 350 to 500 Per Pcs. - Prices are vary according to the quality and quantity. Counted amongst one of the eminent business organization, we are readily immersed in offering Kids Napkin to the precious clientele.